There are 2 reviews of Killer Queen's Royal Revolution. Love this one. Fruity, fresh and sweet. Like a pomegranate and blueberry explosion. It's hard to hate it. Longevity is hopeless, regardless I'll repurchase. I'm giving this a "4" because for the price it is really a stellar fragrance, as are the others from this line, the original "Killer Queen" (red) and Eau So Sheer (light purple). The original Killer Queen was the first "celebrity" perfume that I have been impressed with, and thus far I have not been disappointed by any in the line. I highly recommend the entire Killer Queen line for teens just getting into perfume (as opposed to "body sprays"), as they are light hearted enough not to come across as too grown up, but long lasting enough so they feel like they are actually wearing perfume. This specific fragrance seems a bit more fruity and floral than the other two in the line, but the blackthorn and musk in the base notes, and the sandalwood in the mid notes, add enough depth to make this appealing even to those who don't like typical "fruit/floral-y" scents (myself included). For true scent lovers who like a little more complexity in their fragrance, all of these in this line may be a little TOO simplistic, but for what I perceive as its intended audience, it hits the nail on the head. 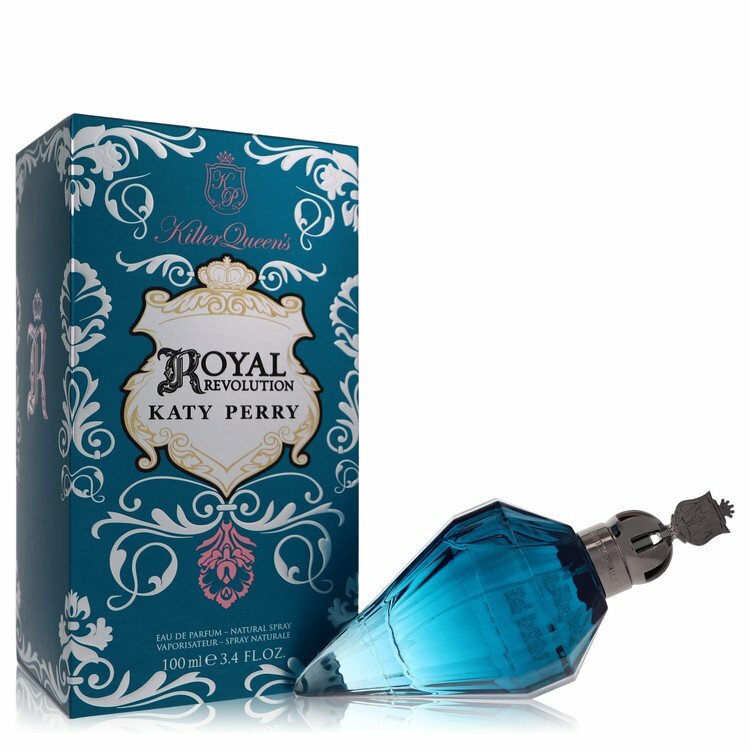 Katy Perry Killer Queen's Royal Revolution Eau De Parfum .5 Fl Oz. There are no member images of Killer Queen's Royal Revolution yet. Why not be the first?